The highlights and most overhyped elements of this year's conference. Flying cars, bread bots, drones, smart kitty litter boxes, AI-infused toothbrushes. CES 2019 was in full swing last week. Campaign U.S. caught up with industry leaders to see what they found the most interesting – and overhyped – at this year’s event. Check out their takeaways bellow. Most interesting/exciting: The most interesting thing this year was the fact that companies that usually will be seen as competitors are starting to collaborate and work together. The main ones would be Google, Samsung, Amazon, Apple, Intel, Alibaba, etc. Most overhyped: We all expected to see more evolution on 5G, we will for sure see much more at the MWC, but still not enough shown at CES. 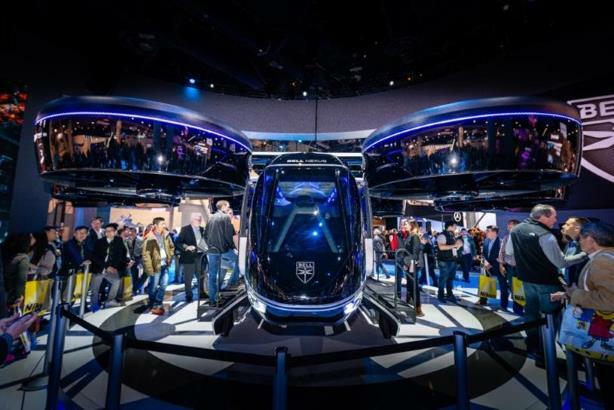 Most interesting/exciting: The most exciting part for me at CES this year was seeing the unexpected partnerships and collaborative approaches taken by brands. By focusing on the core strengths of the company and incorporating the specialties from different companies, big tech brands were able to create more meaningful innovative solutions for consumers. We saw how Nestle and Walmart to use Blockchain technology to track the supply chain in a better way and give more transparency to consumers; we saw how Panasonic is partnering with Harley-Davidson to create electric motorcycles; and how Avnet is working with the Not Impossible Labs technology incubator to give deaf people the ability to feel music through vibrations. In an era when we need to innovate faster and move quicker, we saw what could be achieved through meaningful partnerships that provide people with real benefits. Most overhyped: The overhype for me was the use of the word "smart" or "connected." While it’s great that technology is more accessible, I am not sure that I want or need my blender or my bathroom to have an Alexa speaker in it. While we should definitely leverage AI and machine learning, we should think about the user experience and the needs of consumers while also managing to be respectful of peoples' privacy. Most interesting/exciting: The most exciting thing is the coming proliferation of 5G by 2021/2022. What this promises is a real time, zero latency era that will enable co-dependent device ecosystems from the smart home to telemedicine, autonomous vehicles, and even "big brother" video surveillance for public safety. We live connected lives already, but we haven’t seen anything yet. Most overhyped: On the overhyped side… the TVs that rolled up were undeniably cool; but for most people, the big screen is the centerpiece of their home, and only those with the most minimalist aesthetic are likely to be excited by putting their TVs away. Most exciting/interesting: Our colleagues from Mirum & Possible hosted a talk about DEPE. It highlighted the challenge of designing beyond the screen. Imagine a conference room and the table or wall becomes the screen. Now think of it with 5G - these are not "someday" ideas - they are here already. Most overhyped: New tech and gadgets; I found more value from conversations with smart, curious colleagues and friends than trying out new products. Most interesting/exciting: After a few years of IoT and machine learning being intertwined technology trends, mutually benefiting one another thanks to mass adoption of voice interface in the connected home, this year they diverged into their own, at times competitive, paths. I discovered multiple cameras intended to replace IoT sensors because they are less intrusive and potentially "safer," but still effectively monitor thanks to machine learning applied to hours of video footage. These camera-centric experiences did everything from monitor babies to track your posture to diagnose home appliance functionality. For example, the Nanit is a camera that sits above your baby’s crib and provides key health data based on their movement, all without a sensor; most interesting is that you can get more data out of it by having your baby wear a onesie with a unique print that helps it see better and track more dynamic movement; the pajama is just cotton with a print, with no embedded sensors. Keep an eye out for the relationship between these two technologies, especially in the consumer electronics space, as this show may have been a turning point. Most overhyped: TVs are the most overhyped element every year. ...But since that’s too easy an answer, I’d have to say voice officially jumped the shark this year. It’s still clearly the interface of the future with incredible untapped potential, especially outside the home, but this was the year in the hype cycle where voice was actually making simple things more complicated than necessary; that’s not a criticism of the technology as much as it’s a rallying cry -- desperate plea? -- to consumer electronics companies to implement technology with a design purpose. I mean I opened a f***ing trashcan lid by asking it to open; next thing they’ll tell me is that I’ll have to step on the accompanying foot pedal to activate the speaker so it can hear, thus solving a problem no one has ever had.